Real-Time Analytics and Device Management Drive Smart and New Digital Business Models. Ooredoo announced today it will further enable Internet of Things (IoT) business innovations in Qatar, with its new partnership on Software AG’s Cumulocity IoT platform. Using Software AG’s Cumulocity IoT platform, Ooredoo will build solutions that will allow business customers to combine integrated real-time data analytics visualisation, with scalable storage and device security, to drive new digital business. The partnership leverages Ooredoo’s regional communication strengths with Software AG’s Cumulocity IoT platform. 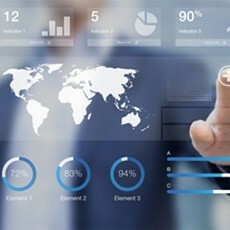 The combined offering enables Ooredoo’s customers to benefit from: rapid machine, sensor, and device integration and data collection; real-time analytics for condition monitoring, predictive maintenance, and supply chain automation; comprehensive device management and remote control; configurable real-time dashboards for data visualization; and rapid enterprise IT integration. The post Software AG’s Cumulocity IoT Platform to Power IoT Offerings from Ooredoo appeared first on IoT Business News.